People living in the south of Yangtze river have the tradition of eating pumpkin as a form of celebration due to the mature season period for pumpkin where Chinese people tend to believe that seasonal food is the freshest . Eating pumpkin during mid -autumn festival tend to represent bringing good health for the people as it has a round shape golden appearance. Pomelo is known as ” you zi” in mandarin also have the meaning of “prayer for a son”. According to the traditions putting rinds of the pomelo on the heads after eating signify a prayer for youth in the family. Chinese also believe that by placing pomelo rinds of heads, Chang’e (moon goodness) will respond to their prayers when she looks down from the moon. Similar to pumpkin, taro usually ripens around the time of Mid-Autumn Festival. Taro is famous for its fresh and soft texture; and is believed to dispel back luck and bring good luck and wealth when consume during the festival. One of the most popular taro dishes is deep-fried sugared taro, it is being prepared by covering the taro in syrup after cutting into small pieces and deep -fried. It’s is considered a popular dish for people with sweet tooth. Eating hairy crab during the Mid-Autumn Festival have only become a popular during recent years, which originated from Jiangsu and Zhejiang provinces which mainly due to numerous rivers and lakes. During September and October, hairy crab is considered at their best for being richest in protein and amino acids. River snails are consider to be an indispensable good for the Cantonese people , they believe that eating river snail helps to brighten the eyes. To cover the unpleasant odour of the river snails, Cantonese people tends to cooked the snails together with traditional medicine herbs. Duck is considered one of the most common food. Chinese believe that eating duck during autumn helps in expelling excess pathogenic heat from the body which help to balance in yin and yang hence enhancing health. In China, different regions have different methods for cooking duck, the most ordinary dish is fried with ginger, Osmanthus duck for is a must for East China’s JiangSu Province and smoke- baked duck for West china’s Sichuan province. 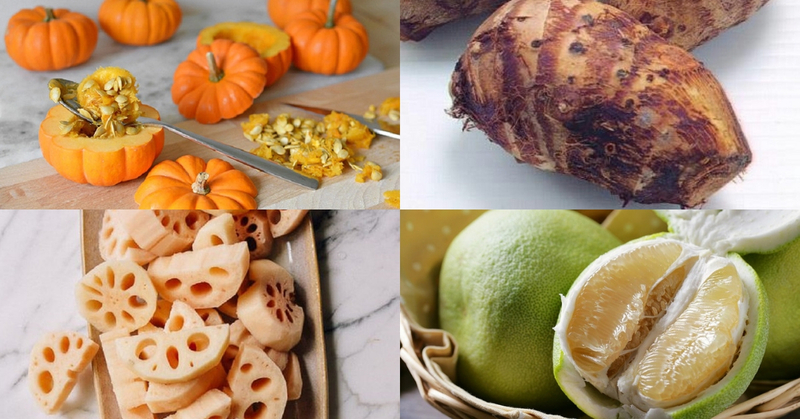 Lotus roots food are popular during mid-autumn festival to prepare for the changing of season for the coming of the autumn, which weather starting to get cold and windy Lotus roots foods usually contains copper and valuable complex vitamins which are essentials for increasing food appetite. During the festival, lotus root are stuffed with glutinous rice topped with honey to signifies happy and charming life. How can we forget the cake inspired by the moon (seriously, it looks nothing like the moon). According to the Chinese culture, roundness symbolizes completeness and togetherness, full moon also symbolizes prosperity and reunion for entire family. Mooncake does not function only as a food but it also symbolizing a spiritual feeling. During Mid-Autumn festival, people eat mooncakes together with family, relatives or friends to express love and best wishes.